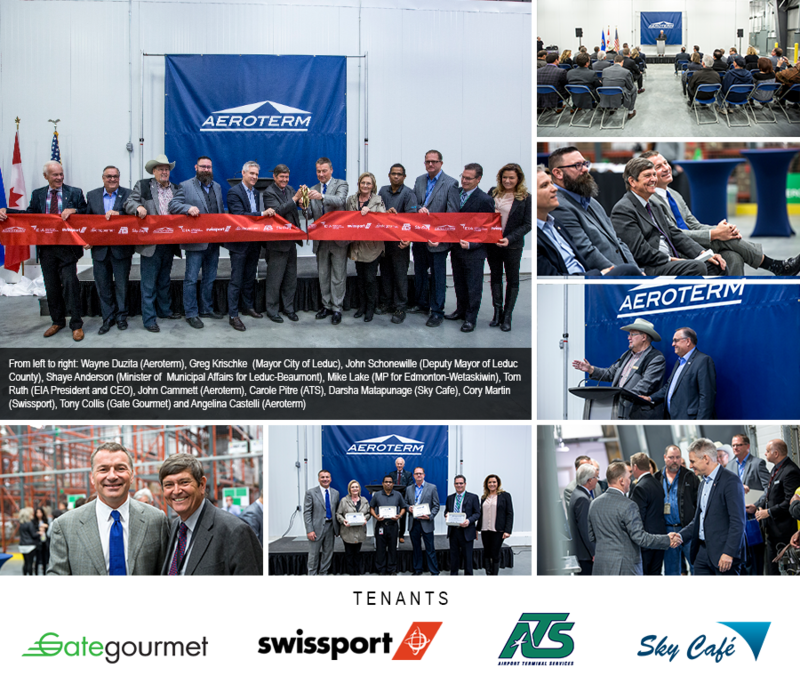 Aeroterm’s new state-of-the-art $10 million dollar cargo and logistics warehouse opened on Friday, October 20 at Edmonton International Airport (EIA). The new 50,000 square-foot cargo facility is the third building owned by Aeroterm at EIA. Construction began in spring 2016 and opened in October 2017. “Most airports are very land-constrained and there’s limitations as to what can be done,” said John Cammett, CEO and founding partner of Aeroterm. “Here at Edmonton, it has such a large land mass, and it’s working with the various municipalities to be able to do developments that are transformational to help the economy fit in the global marketplace. They have the available lands, which gives you the ability to put in the runways that you need, and the supporting facilities,” Cammett said. The four tenants at this new facility include Gate Gourmet, Swissport, Sky Café and Airport Terminal Services (ATS). Notable features of this new facility include vehicle maintenance pits, wash bays, clear-span warehouse, direct airside access and proximity to passenger terminal. The project has employed over 250 people and will feed the Edmonton & Alberta economic engine.